Square Enix has confirmed that Tokyo RPG Factory's next title will be coming the Nintendo Switch. 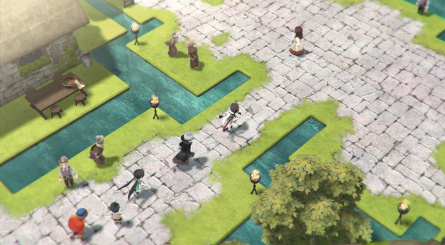 Lost Sphear is due for release in early 2018 and will also be released on PlayStation 4 and Steam. It's going to be a digital title first and foremost, but a physical Switch version will be made available from the Square Enix store. You can check out the official site for the game here. 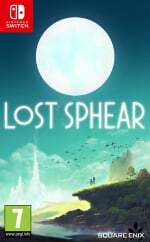 LOS ANGELES (May 30, 2017) – Tokyo RPG Factory, the SQUARE ENIX® studio dedicated to creating games that blend Japanese role-playing games with the latest technology for a new generation of gamers, has announced their all-new title, LOST SPHEAR (read as “Lost Sphere”). The title is set to arrive on the PlayStation®4 computer entertainment system, Nintendo Switch™ console, and STEAM® in early 2018 for $49.99. 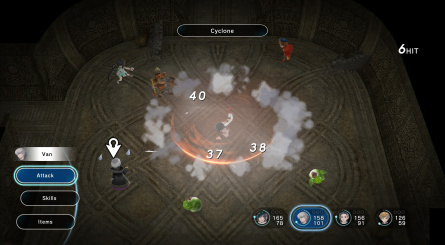 Expanding upon the beloved features from their debut title, I Am Setsuna™, LOST SPHEAR features an enhanced gameplay system with a revamped ATB battle system where players can strategize and freely adjust their placement mid-fight, seamless environments, and various locations to explore. 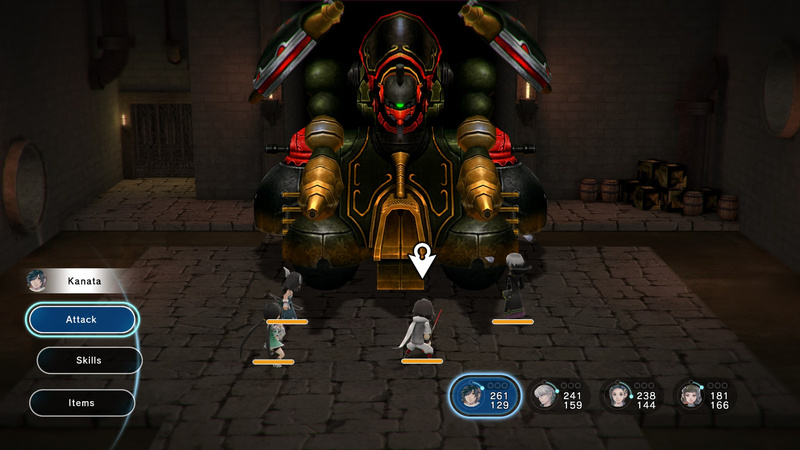 LOST SPHEAR will be available digitally from the PlayStation®Store, Nintendo eShop on Nintendo Switch, and STEAM. A physical package is now available for pre-order exclusively from the SQUARE ENIX Online Store for the PlayStation®4 system and Nintendo Switch. Fans who pre-order the game from the SQUARE ENIX Online Store will receive two music tracks as a gift at launch. Did you like I Am Setsuna, the studio's previous outing? Will you be laying down some cash for this next year? Share your opinion in the comments section below. How's about giving us a true Final Fantasy or Kingdom Hearts game please? 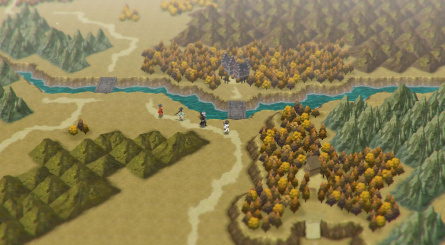 It does look a lot more enticing than I Am Setsuna did originally, to be fair. Will be keeping an eye on this one. @SLIGEACH_EIRE Complaints to Sony I think. @SLIGEACH_EIRE I'd rather have Kingdom Hearts III come out first before we talk about a Switch port. Glad to see Square Enix learning from the mistakes of what made I Am Setsuna a loss. It looks alright. Not massively excited about it though. It's nice of Square to throw us some scraps, isn't it? This studio makes some generic looking stuff. I'd buy it if it reviews better than Satsuma though. Ooo. Here's hoping the Switch becomes the jrpg​ powerhouse we got from the original DS. Squenix seem to be supporting, are are Atlus's (more please), just need Bamco and you'll have the powerhouses. Next on the agenda: Broken Rboadwsord. Is this going to be another piano only soundtrack? Blegh, what happened to game music just sounding like game music? Looks like my kind of game. At first I thought this was Project Octopath Traveller. Looks nice, will definitely buy, yet does seem a bit generic with many of the JRPG tropes (then again so did Bravely Default at first and that blew my mind to the surface of Io). Do like the music so hope an OST is made available. Also I do hope Square Enix offers the physical version on the EU store due to lack of international shipping. Also I'm guessing the international release will be called Lost Sphere. How many RPG's like this did the Wii U receive?Very few I can think of,especially from larger developers.The 3DS though received loads and there's still more on the way.It looks like the Switch is going to continue this trend.That means we'll have the big home console experiences from Nintendo and the odd 3rd party here or there and the 3DS like experiences on top.Sounds good to me. These are the type of games i want to see thanks square keep the support coming. Nothing beats turned based jrpgs from square. I still want ff7-10 on the switch at some point. No more piano only soundtrack please. I love "I am Setsuna" but that piano keeps playing again and again, it's the absolute definition of monotony. I like the look of the overworld, but the rest looks incredible rough. I feel like they always pad the pricing of anything Tokyo RPG Factory makes. Setsuna should've been $30 with a few 50% discounts under its belt by now. Now this game is aiming for early next year, at $50, without knowing what E3 will reveal for their release schedule. These devs keeps getting put out to pasture, SE has been really lame lately. Good to see, they bring their games to retail now in Europe. At least, this one. Admit it: @SLIGEACH_EIRE, this time around, spoke for all of us. @AlexSora89 Not everyone, I'd prefer an RPG like this to something like what Final Fantasy is now. That said it wouldn't hurt to have both! Also I loved the soundtrack to I Am Setsuna so I'm hoping this goes a similar way. Next time a try game with voice acting and/or ambition. My point exactly: it doesn't hurt to have both. The "numbered entries are PShome only" stigma that plagued Kingdom Hearts has been broken. But no, spinoffs and side projects are all Nintendo consoles get. Which isn't a bad thing per se, mind you, but compared to the likes of Final Fantasy XV, all of this feels like leftovers. @Cosats @Expa0 You both need a new set of ears if you're hearing the piano and not the violins in that trailer. So glad their next RPG is coming to Switch also. Run that. I like that they're going straight for a physical release off the bat. The language in the press release doesn't make it completely clear whether the game will only ever be available physically directly from the publisher or not but just in case I preordered. I expect I can always cancel. SE charges such exorbitant shipping prices. As to the game itself, the "development footage" disclaimer is telling. The game is still about half a year from completion so I imagine it will still change a bit. I like the music better than what we got in Setsuna. I see the angry penguins are back! Looking forward to playing it, and so surprised and pleased to see more from this developer! Q) Did you like I Am Setsuna, the studio's previous outing? A) Yes, quite a bit. It wasn't mind-blowing per say, but it has been very enjoyable, a solid and lovable experience so far. I still need to finish it thinking about it; I should get back to playing it (whilst juggling Voodoo Vince, Phantom Dust, my Pokémon Yellow interactive Miiverse Adventure... oh, and Ever Oasis is coming out soon). Q) Will you be laying down some cash for this next year? A) If I've got the money; heck yes! It looks like I'm being drowned in turned based RPG goodness with the Switch and I'm perfectly content with that. I'd much rather get the game physically from my nearest game store. I hope that this process will be an easy one, as if I have to make an account or subscription to just get the physical copy, I'll likely get it digital only instead... which often turns me off of getting the game at launch, or at all. Still, I managed to convince myself to get I Am Setsuna despite being digital only... so we will see about Lost Sphere. The graphics look really really old, gameplay looks like a mixed bag of old and meh, but the story sounds interesting. I think I'll pass on this one. I can't play every RPG that sounds interesting. Too many negatives for me. I still want to see more of Octopath. @OorWullie Don't forget the Japanese devs who are undoubtedly interested. Though we'll see just how many of those games will get released here in the west. Probably a very small number, honestly. But it's still a very good sign. @AlexSora89 Not all of us, no. I'm not interested in Final Fantasy series at all and Kingdom Hearts is only a passing fancy to me. I do get where he's coming from though so I can't find fault with what he's said. "From the studio behind I Am Setsuna"
Oh. Well. I'll be moving right along then. @AlexSora89 hardly so, considering that FF spinoffs include some of the best and most unique FF games while Kingdom Hearts gleefully makes its "spinoffs" borderline obligatory for understanding the big picture in the memetically gargantuan plot and lore. So @SLIGEACH_EIRE point's relatability is undermined by his fanship-driven wording - implying that only numbered games are "true" entries is rather silly. And when it comes to "top RPG franchises", people seem to forget how Nintendo had Dragon Quest flagship all to itself for two entries, with only DQXI becoming an immediately multiplatform release. There's also the irony of SONY getting Shin Megami Tensei spinoffs nowadays whereas Nintendo gets the flagship titles (unless SMT5 is multiplatform). FF and Persona a bigger fad in the west? Yes, but regional popularity has nothing to do with the idea of "true entries" either. More classic JRPG gameplay is always on my wishlist by default, even despite the plethora of actual old JRPGs to catch up with. And the premise is quite interesting here. @AlexOlney Good, but missing the signature 'encrypted fruit'. First we had, 'I am Satsuma', and now 'Lost Pear'. I'm thinking the time will soon be ripe for the reveal of 'The Forsaken Fygge' or 'Curse of the Quantum Kumqaut'. Meh, couldnt they have just gone 2D instead. This just looks as bland as Setsuna. When I got into the ???? town in Setsuna, I really thought "I wish all the game could be like that instead", since I prefer beautiful 2D sprites above sub-par 3D like this. Anyway, gameplay wise (since the trailer really just looks like Setsuna with a 4th character), I just wish they could get rid of the whole "drops" systems to get all our skills, which was pretty bad. A few drops here and there, it's totally fine...but 10+ drops per enemy, each of them necessary to get all the skills??? It was just a grind fest. Going on the Steam wishlist! @nhSnork FINAL FANTASY CRYSTAL CHRONICLES: THE CRYSTAL BEARERS says hello. The first game on Gamecube was good, the second on Wii, not so much. These are nowhere near their AAA true games and are handled by their B studios. Great! I do hope JRPG keep coming, they were the heart of the 3DS and I hope they are plentiful on the Switch. As for FF... Never played a numbered entry, and with all the complaints FFXV has, I don't see the big deal. I'd be more interested in KH if they can publish a compilation on the Switch, since I've never played those either. I enjoy these little, "throwback" JRPG games. I'm looking forward to learning more about this. That said, I'm glad this isn't Project Octopath Traveler. They do know they misspelled "sphere," right? Ff VI Remake would be great, as long with 3D rendering, voiceovers, Semi Chibi form and Beautiful FMV of Esper's Attacks. Okay, Do you really need 100% AAA games for Surviving ?? If the games are NOT AAA Titles, NOT AAA Graphics, NOT AAA in every aspects, Negativity is Always comes out from your mouth. Don't be selfish ! Your taste of gaming is kinda like a King. Like you said "I'm too cool to play NON AAA games." Even somesome of Non AAA games has better taste than AAA games that you really really want to worship. When I watched the trailer, at first I was kinda insecured due to "May Contain Inappropriate Contents" on Beginning. After I watched carefully, it seems quite appealing for me, but i'm afraid if the Storyline will be Too Dark, like I heard from I Am Setsuna. Btw, if SquareEnix provides the physical retail from their store, will it only can be bought from their store or any store like Playasia or BestBuy or Wallmart or Amazon or Ebay has a chance to sell that game in physical retail ? @Anti-Matter Look at today's Switch review. Look at the majority of Switch games getting announced. I expect better for €330. In fact it's worse than that. That's €700(cost of a Wii U and a Switch) still in the same generation and still pitiful 3rd party support. Nevermind all the hidden extra costs on both platforms. Oh, great, another game I'm going to have to import the physical version, isn't it? Glad to see this though. It's like I Am Setsuna: Additional Ground Texture Packs Edition. Setsuna's a fun game. Kind of short, but a fun battle system, but the fact that the whole game is just the snow area gets old fast. And the depressing piano music gets old. I do hope Sphear is a little less shallow as well....Setsuna suffers from "go through this one field, fight monsters, then fight a boss after town. Then repeat." It doesn't feel as open exploration oriented as a full scale RPG tends to be. @Anti-Matter: I HOPE This will have a physical worldwide release, but I expect it will be like Setsuna, digital only outside Japan. I did import Setsuna (a painful process) for that reason. @SLIGEACH_EIRE Given what's become of FF in recent times, I'm good without it, RPG Factory games are still better actual RPGs than that (heck the studio was created basically as an admission they screwed the pooch on FF as an RPG). Kingdom Hearts OTOH, yes please! Though, really, just give me DQ11 and I'm good. The last REAL RPG series from Square. But the RPG Factory games are a nice throwback to the old Enix games, so I'll take them. And, that "review", seriously? What's wrong with the games getting announced for Switch? It's not Battlefield and Far Cry? Anyone who's disappointed about that bought the wrong platform. As for THIS game, out of all the old school Squaresoft purists that watched the daily Square Enix coverage during E3 last year, how many were actually more excited about FFXV than Setsuna? My eyes kind of glazed over during the FFXV presentation(s), while Setsuna looked great. Then they said digital only and I tuned out. You have very demanding gaming taste like a King. I still Happy can play Non AAA games. And they taste even better than some of AAA games. You think non AAA games like Cooking Mama, Disney Magical World series, Tomodachi Life, Fantasy Life, Miitopia, etc are Blah just because NOT AAA games ?! Your obssession is beyond from crazy I think. It just wasting time to argue with Sligeach Eire, gamer who want AAA Games ONLY for his life and Insulting Every Single NON AAA games like a piece of junk. I Am Setsuna has been already in retail copy, in Japan version though. But I heard it has English language Options. Im not amazed but i think it could be enjoyable. I hoped for a slightly different atmosphere this time. Trailer feels like an expansion of setsuna. 50 euro for a downloadtitle is sick. Hopefully the physical copy is not again japan exclusive. Wow, this looks really cool! I'm happy that the cool critical reception to I Am Setsuna didn't dissuade SE from seeking to publish more Tokyo RPG Factory games, as this one looks like an improvement. The visual style is lovely, and it's nice that the studio is developing a distinct look rather than dramatically departing from the appearance of its previous game. The music, unsurprisingly, is gorgeous, and the cityscapes in particular stood out as an inspired setting. @SLIGEACH_EIRE I really hope you're not posting "AAA" as a synonym to "true" of all things here. These letters really seem to have achieved the marketing urban legend buzz status comparable to "4k" and "blast processing". I'm worried that they will repeat some of the same mistakes I Am Setsuna had. That said, this already looks better with a wider variety of environments and music. My main issue with these Tokyo RPG Factory games is the price to game length ratio, ie the game's value, is pretty poor. Setsuna was £30 digitally and was between 20 and 50 hours long giving a £1.50/hour to £0.60/hour worth of value, which in itself is pretty decent. Compare that to Disgaea 5 Complete however which is between 40 and 150 hours long and available for £40 physical. This gives a value of £1.00/hour and £0.27/hour. Yes they are slightly different genres but with limited game time I will always go with the better value games. Sorry Sqeenix. @Anti-Matter Sliggy's ok mostly....he's negative...and gets into his fits of "I want my AAA games" which is unreasonable, but he's more "one of us" than he likes to admit. Heck, you're more a Playstation fan than he is, apparently On the occasions he responds more in depth, it comes across a lot more reasonable than his initial attention grabbing posts, I think he mostly just has a grudge against Nintendo for screwing up WiiU, which isn't entirely unreasonable...if I didn't also have a 3DS I'd probably have a less favorable opinion of Nintendo's WiiU treatment. But then he just LOOKS for reasons to bash N/Switch because of it. But if he was as obsessed with AAA games as he likes to talk about, he'd have bought a Playstation/XBox YEARS ago. Setsuna: Yep, I bought the physical copy from Nipon-Yassan in Japan....and it infamously took a month to arrive, and they shipped it the wrong service But I did get it, and it's the full English version, automatically, if you play it with your user account set to English, so it's as though it's an NoA copy aside from the box art. I'm hoping Sphear is the same (or a real true worldwide physical release.) But I won't get my hopes up for it. You're right, though also wrong in public perception. In the public, "AAA", even without the marketing, just the concept of style over substance, pretty visuals and cinematic with bare bones gameplay has been accepted as what a "high end game" is. The recent surveys showing that by FAR the #1 criteria consumers buy games on is the graphics, confirms...."AAA Graphics" and the budget/marketing that accompanies them is what "real" games are in the public. That, of course is what's nice about Switch is it's the machine for all of us who DON'T buy our games based mostly on graphics. It's not as big a market, but it's a dedicated market, and thus profitable, which is where Sliggy and others are missing the narrative on this. Switch doesn't have to play in that space to be successful if it's targeting a whole different gaming demographic. (Some say casuals, but IMO it's the "real" core gamers that prize the details of gameplay over the wow factor of visuals.) Good luck selling SRPGs for example on XBox One. It just isn't going to work well. @Souldin I agree about the physical version only being available through the Square Enix store. That's annoying. I'd rather it be available at most retailers like Amazon, that way I could use my Prime membership to get a discount. Having to sign up for another store just to get the physical version is annoying. A game like this both myself and my partner would want to play so having a physical version allows us to do that on both of our Switch consoles. @Sligeach_Eire Agreed, I'd really like to see Kingdom Hearts 3 get a Switch announcement. KH has history with Nintendo. If Xbox can have a version (which has had absolutely nothing to do with Kingdom Hearts before), then Nintendo Switch should get a port. Not feeling the art direction but I'll likely end up getting it at some point. Oh HELL NO. I just tried to preorder the physical version so that both my partner & I could play the game on either of our Switch consoles. But I'm not paying $39.95 for shipping on top of a $49.99 game. Square Enix is forcing Priority Shipping as the only way to ship to Canada. No thanks. I'll wait and if I do decide on buying this game, I'll get it digitally. Not paying that much for shipping, no thanks. @Anti-Matter Yeah that would be super cool if the FF6 remake was like that! @SLIGEACH_EIRE This is the closest game to a real Final Fantasy that I've seen since the PS1 era, I'd gladly take it over games like FFXV. Hm... Nippon-Yassan. Never heard before. I will check later. Sometimes I order my games from Playasia.com (Hong Kong) or Ebay for specific / hard to find games. It takes 2 - 3 months to arrived in my country Indonesia (Ebay) but takes around 6 - 8 weeks for Playasia. That's why I usually order a lot of games from different source either from Ebay and or playasia so Imy patience for waiting paid off. Guess, I wait my games more patiently. Ah, I used to play a lot of PS1 games during year 1998 - 2002 (My favorite was Magical Drop III, Punky Skunk, Chocobo's Racing, Harvest Moon Back to Nature, DDR 3rd Mix, FF VIII, FF IX, etc) and play a lot of PS2 games during year 2002 - 2013 (Yeah, longer than PS1. Last time I played PS1 on year 2006). My Favorite PS2 games were All DDR series both on Japan & USA version, K-1 series, Guitar Freaks & DrumMania series, FF XII, FF X-2, Monster Rancher 4, Bomberman Battles, etc. I will start from Clean Slate for Original PS2 & PS1 games on this year. From now, my all consoles or handhelds games & machines will be 100% Original (Either Brand New or Used) and No more playing pirated games / Ilegally modded machines ( I had promised to myself to not temptated anymore with that). Meanwhile, actually I rediscover about Nintendo's new things from GBA & NDS era but my attention went to Wii back on year 2006. I was fascinated with Wii from Motion play and interesting titles like Cooking Mama, My Sims, Harvest Moon Tree of Tranquility, etc. I started playing Wii back on June 2009 (But unfortunatelly I bought Asian region Wii + soft modded with illegal launcher. You know, Indonesia is the country of Pirated games Paradise) and enjoy my Wii experiences with PS2 until 2014. I stopped playing all illegally modded machines on year 2014 after I got my First Original 3DS XL and Original 3DS games. On year 2014, it was my First time I got Original NDS games after long time I have never owned NDS games. On year 2015, I got my chance to owned USA Wii machines (But it still soft modded when I got, so I just only Reset to Factory setting, Switch the Username and Updated my Wii so it will only accept Original Wii games with Right region). I continued to expand my Nintendo family by bought Wii U on April 2016, some Gamecube games on November 2016 but on February 2017 finally I could played Gamecube games on my Wii after I got 2043 blocks Gamecube Memory card for Wii (3rd party) from Ebay. So far, my Nintendo games that I owned from NDS + 3DS + Wii + Wii U + Gamecube + Switch are more than 80 titles altogether, pretty much compared with my PS2 & PS1 backlog ( More than 60 titles altogether) & PS4 games (Only 7 titles on my list so far). Well, that was pieces of my history about Nintendo and Sony games. I still owe PS1 & PS2 for DDR, My BEST games from PS1 & PS2 ever and I couldn't say I hate PS1 & PS2 because DDR was born from PS1, not from N64. @Anti-Matter Yeah, I hadn't heard about Nippon-Yassan either, Ryu tipped me off about it when I went to order Setsuna. I chose them because they offered standard airmail without being Registered (signature required), and because dealing with signatures is always difficult with my post office, I picked them over Play Asia. So a month later I finally got my package. And it was Registered, signature required Ugh! And the package was stuck "in dispatch" (whatever they mean by that) for weeks. Technically they seem like a good store (and their website is a lot nicer than the 1990's Play Asia website ), so I might use them again... but since i can't count on them to ship the way I ask them, I'd pick Play Asia just as easily. FWIW, they seem like they're located in Japan, the package came in a hand-written envelope with a Japan origin address instead of Hong Kong for Play Asia. If Square Enix insists on Japan-only physical releases, thanks to region-free Switch I think I'll have to get very used to month long waits That's still better than your waits it seems! How is it faster getting to the US than to Indonesia from Japan or Hong Kong??? And nice choice going legit on all your games! I imagine that's a difficult choice to make when surrounded by tons of easy piracy! You've amassed quite a library there! Too many people here don't appreciate games like this, calling it "scraps". I think people care more about bragging rights than actual games. At least the PS gamers appreciate these kinds of games. I wonder if SquareEnix can deliver Lost Sphear to Indonesia because basically I order the games straightly from Japan delivered to Indonesia. FF VIII was my BEST FF on PS1. I Love the Character design, Orchestral Music ( Liberi Fatali was Perfect tunes from FF VIII, 10 from 10), Gameplay (Junction System kinda Challenging but Fun) though the storyline just so plain in my opinion, like a journey of 6 Top Models (3 Boys & 3 Girls) to find and hunt for Mysterious Sorceress (Ultimecia at last). I gave 9 from 10 for FF VIII. I have ever ordered games from Ebay (USA version games) and it took 4 months to be arrived ! Gosh.... so long I have waited for. But that was very Rare case. Oh, speaking about playasia, it seems some of my 3DS , Wii U & Switch games are from playasia distributor. It has Green & Blue Circle label on front cover for 3DS & Wii U but on back for Switch. It said the games sold & played on Malaysia, Singapore, Saudi Arabia and UAE. Also, my Pearl White New 3DS XL is also has a Green Blue circle label on front New 3DS XL Cover. Looks cool. 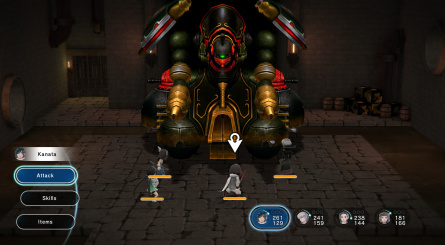 I'm really digging these old school JRPGs being kept alive on next gen systems. Nice going Squeenix. I'd was starting to worry the whole industry was just going to keep pushing in the direction of realistic super big budget graphic intense 'movie' games. Phew! I enjoy I am Setsuna so you bet I'm looking forward to this new RPG. Might hold me til Square Enix finally brought out Project Octopath Traveler. Loving the attention old school JRPG fans are getting. I definitely enjoyed I Am Setsuna enough to warrant buying this. 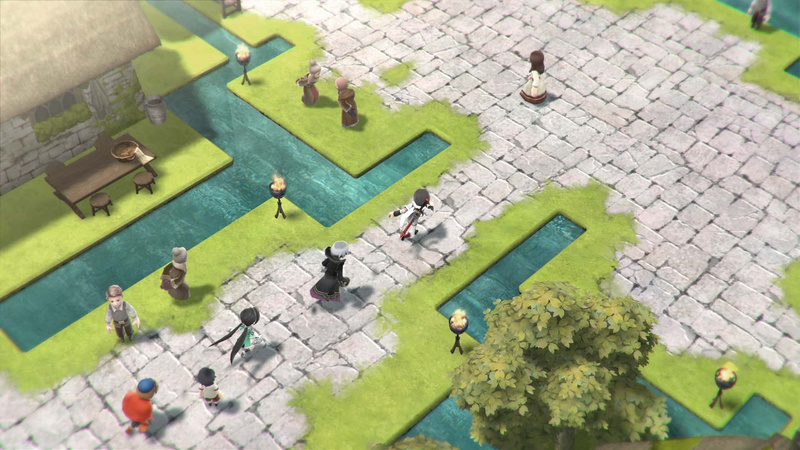 Lost Sphear looks to be a thankfully more varied follow-up. As much as I appreciated I Am Setsuna, the music and setting were a little monotonous. I really hope they show of Project Octopath Traveller at E3, that first trailer did't show much so the game is still pretty much a mystery. What's up with all these pre-E3 announcements? @BezBot I was aware of I am Setsuna from IGN preview articles. Watched it release on the xboxone and ps4, read good reviews and when it came out as a launch title for the Switch, picked it up. Not as great as I was hoping, but managed to persevere and beat the game. Don't think I'll pick up this spiritual sequel due to Setsuna having chunks of boring combat encounters and a couple of way too hard bosses that required me to come at them from a dozen different directions. Mostly good game, but don't want to wade through the boredom and frustration to get to the good parts again. so is that $49.99 for the physical or digital? surely that must be the physical price. if this is £49.99 Digital on release I wont be getting it. Wow I didn't even realize Nintendo printed so many different sub-regional packages for everything! @JaxonH Hmm, SE Store and it's crazy pricing? I think I'll wait for playasia on that one if it's not coming here. I don't normally get into JRPGs but this one looks to have potential! I didn't play I Am Setsuna but this game interests me more. I feel like it has a stronger concept and I like the music. No more piano-only soundtracks please, SE. Game music started falling on its face when it began to emulate film soundtracks (though some games do benefit from that practice). I want something to hit me again like Secret of Mana's tunes did all those years ago. The main issue with main KH games is that whereas spinoff titles expand the plot, numbered entries advance it. And PlayStation-less fans are only getting fragments of an overarching story that could be appreciated more if only the "be at home and play with PS buttons" stigma could be done away with. As of now, though, all the snark the KH storyline gets is entirely deserved. What our fiery Irish fellow has stated applies to all third-parties, of course, but the "leftovers" treatment we get from Square-Enix is especially notable. The N64-and-onwards wound is taking a long time to heal, but hopefully Cloud's inclusion in Smash is enough of an "olive branch" to be a good sign of things to come. Time will tell. @SLIGEACH_EIRE If Nintendo makes you so miserable, why are you here? Seriously!